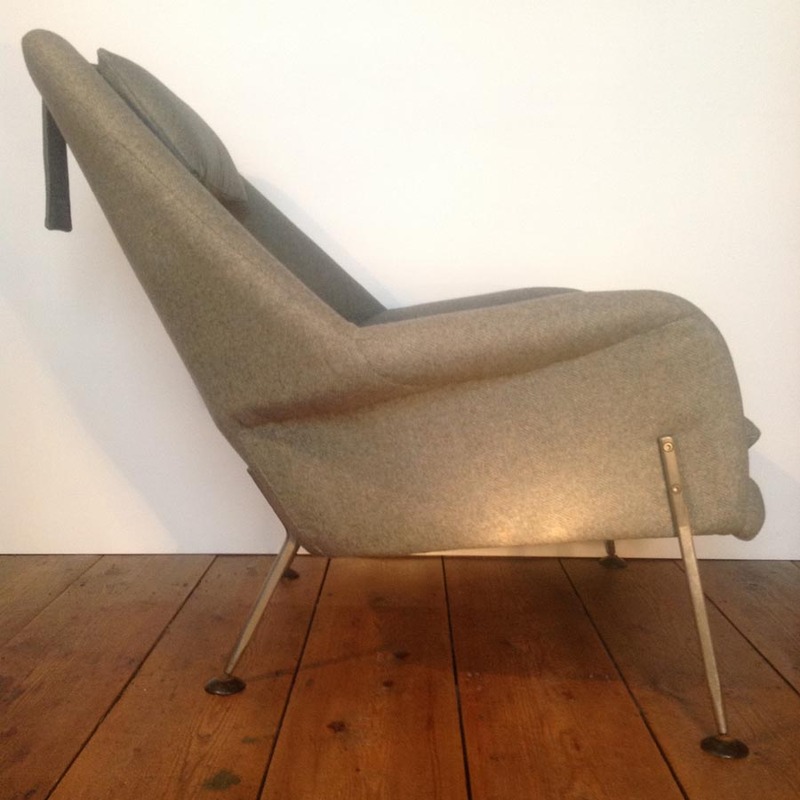 A lovely example of Race’s ‘Heron’ armchair. 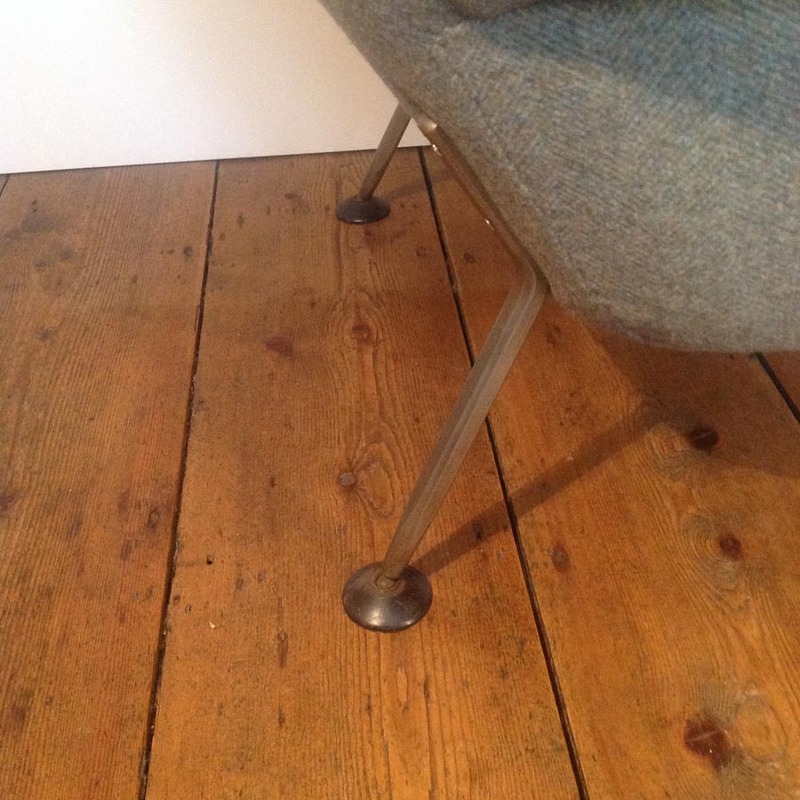 Built with a bent steel rod frame due to post-war timber restrictions the chair has a sculptural quality enhanced by the thin splayed legs. 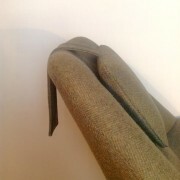 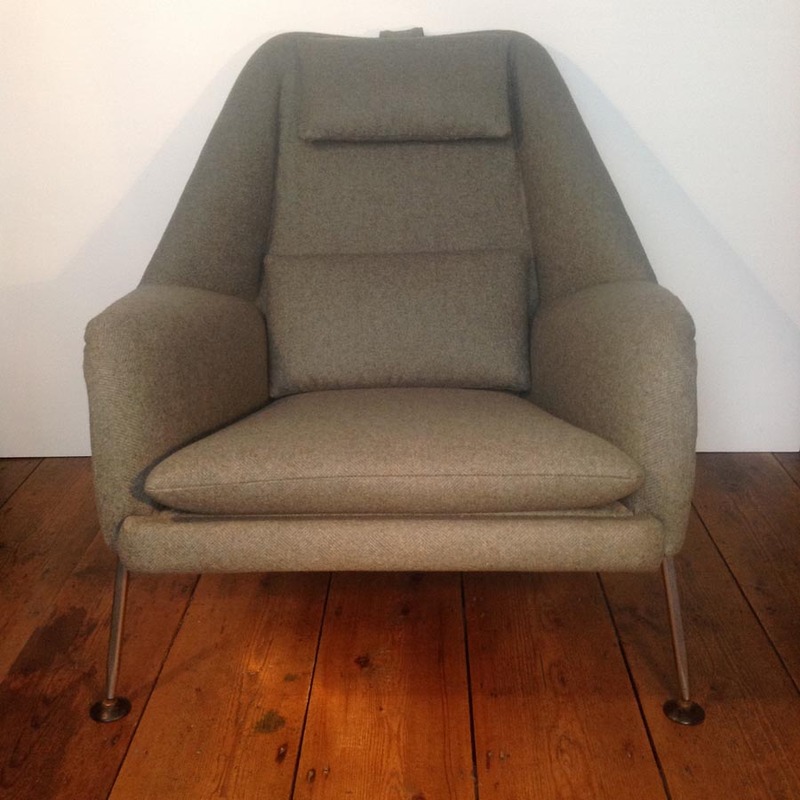 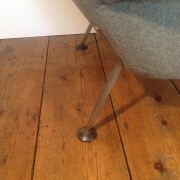 Re-upholstered in Abraham Moon pure wool herringbone fabric.